Last Friday, the New York State Department of Health recommended the state legalize the use of recreational marijuana. This would mean a new area of law for attorneys in New York who have not yet practiced in this emerging industry. Gov. Andrew Cuomo commissioned the report this month that found, “the positive effects of a regulated marijuana market in NYS outweigh the potential negative impacts.” Among the positive effects? Lowered marijuana-related arrests in low-income neighborhoods. In 2017, 86% of those arrested for marijuana possession in New York were people of color, according to the state Division of Criminal Justice Services. New York state expects the sales tax revenue to range between $248.1 million to $677.7 million each year, creating an opportunity for residents to start their own marijuana businesses. However, it’s not as easy as one might think, at least from a legal standpoint, said Daniel Shortt, a cannabis attorney with Harris Bricken. 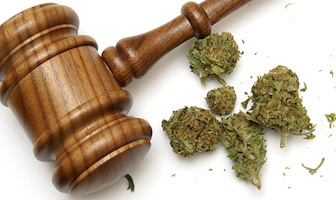 Attorneys will need to seek some sort of ethics guidance on working with marijuana clients. Harris Bricken has plenty of experience dealing with the legal marijuana industry. Partner at the Seattle firm is Hilary Bricken, who has earned a reputation as a fearless advocate for local businesses. Hilary will be speaking at our Recreational and Medical Marijuana Law and Business in California conference on November 1 and 2, 2018. Over the course of two days we’ll go in-depth into a variety of issues in this burgeoning industry for attorneys, investors and business operators. For those who serve clients in the cannabis industry and those attorneys who want to move into this space, our program will help you navigate the rules, regulations, and legal ramifications of legalized marijuana in California (and federal issues affecting the state’s cannabis industry as well). For investors and business people in the market – or thinking about entering the market – what do you need to know? What are the difficulties businesses face – from retail to growing and distribution? By the end of our conference you will be well-versed in most of the critical legal, business, and investment-related aspects of this rapidly expanding industry. Ariel Clark’s law firm are experts in Cannabis law – in Washington, California and elsewhere. She spoke at our June 2017 Marijuana Law 101 seminar (where she received great evaluations) and is expanding her practice to Northern California! 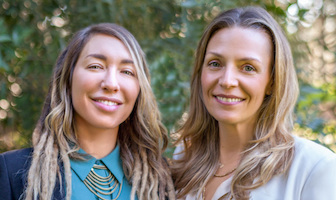 We wanted to pass on the Recorder’s article about her firm’s expansion, Women-Owned Cannabis Law Firm Expands in Northern California by Xiumei Dong. 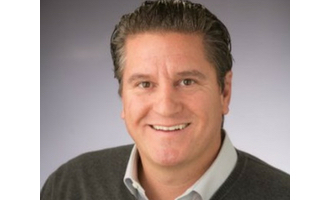 After hiring three new associates to accommodate increased demand for legal services in the recreational cannabis businesses, Clark Neubert has opened offices in Sacramento and Santa Cruz. Congratulations Ariel! Associate Joanna Hossack will head the firm’s office in Sacramento, while senior associate Nicole Laggner will head the firm’s Santa Cruz office. Hossack specializes in the recently-passed Medicinal and Adult-Use Cannabis Regulation and Safety Act, and California’s evolving regulatory processes for cannabis. Laggner’s expertise is on cannabis business formation and compliance. We will be diving into the laws on the Marijuana business at our upcoming two-day conference on November 1st and 2nd in Los Angeles. American Indian tribes want in on the booming Pot Com industry. Tribes have proposed establishing marijuana businesses outside the new California state-regulated system. Currently, tribes are required to be licensed by the state to sell pot, which would strip them of their authority over their own lands and right to self-govern. This possibility of breaking away from the California-run system is a challenge for the state as it tries to transform its medicinal (and illegal) marijuana markets into a unified, multibillion-dollar industry.